MSNBC’s Chris Matthews took a break from his nightly “Hardball” tirade to grace the set of Morning Joe to unload on the GOP for opposing extending unemployment benefits and increasing the minimum wage. There's a conflict on the right, hard right, nasty right. If you make fun of people for being unemployed or being underemployed and you get food stamps and stuff like that. Help them make more money. Are you against the working poor, people catching the bus at 6:30 in the morning and work 40-50 hours a week? Are they bad guys or good guys? They’re good guys. Treat them like good guys. In Matthews’ distorted view of reality, refusing to extend unemployment benefits -- which max out at 99 weeks in many states -- is racist and that you view those individuals as lazy “bums.” Rather than looking at the plethora of data that shows that extending unemployment benefits hinders job creation, Matthews would rather throw extreme statements at Republicans, going so far as to use the typical MSNBC line of calling the GOP racist and bigoted for opposing liberal policies. 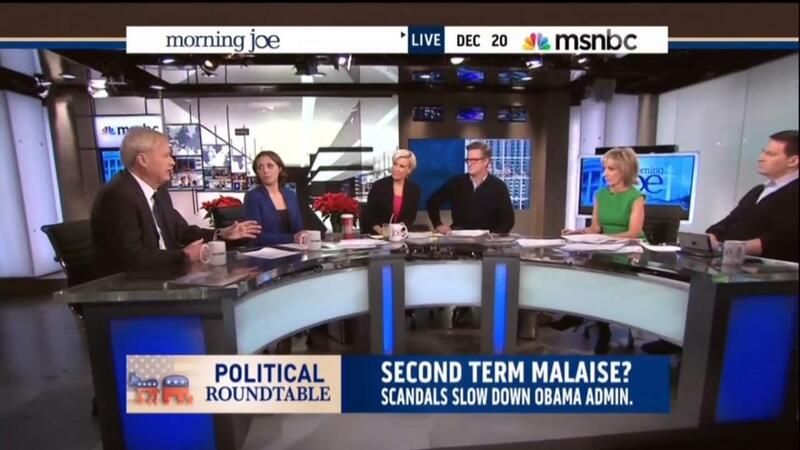 CHRIS MATTHEWS: See there’s a problem here. There's a conflict on the right, hard right, nasty right. If you make fun of people for being unemployed or being underemployed and you get food stamps and stuff like that. Help them make more money. Are you against the working poor, people catching the bus at 6:30 in the morning and work 40-50 hours a week? Are they bad guys or good guys? They’re good guys. Treat them like good guys. You can't make enemies of all the working poor and the poor and say we don't like the bums or the ones with fancy fingernails or whatever the hell they’re talking about these days, these racists. Or you’re going to help the people out that are trying to work and you got to take sides with the worker bees. Okay, you may not have a great education but you're going to work every day. And you're showing up. You're doing your job. We’re going to give you a decent wage. That’s a good value for Republicans.